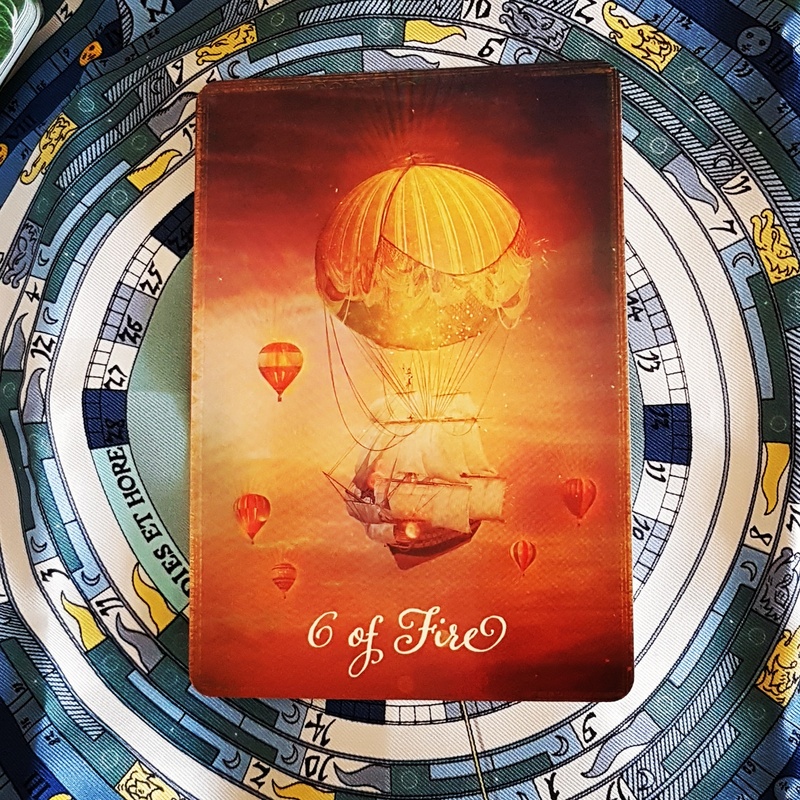 6 of Fire – You generously model your transformation so that others might be inspired. You put your light on the top of a hill so that it can shine forth, helping others to find their way. You remain aware of shadows and people who have trouble basking in the warm light of higher awareness. You bless them but do not dim your own beacon. It’s a time to renew your trust that you are contributing to the highest good of all in your own unique way. 3 of Water – Joy and excitement flow among all those gathered You embrace being a part of something larger than yourself. It’s a time to delight in the camaraderie as you experience the greater whole that is your community or team. You buoy each other and play together as you co-create. You are friends, family and companions, sharing your experiences. It is a time to remember you must accept each other as you are, with both shadow and light within. Keywords: celebration, enjoying community, sharing, exuberance, team spirit, common goal, friendship. Fool – You know that a spiritual approach rarely appears logical and sometimes even impractical. 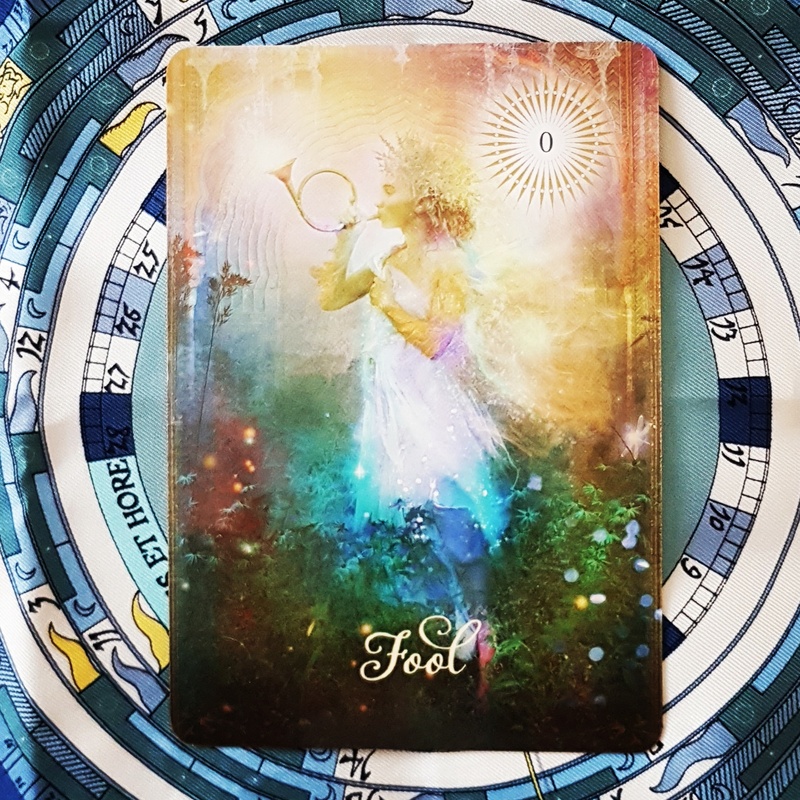 However, when this card appears, you can take a risk and trust with faith anything is possible! The invisible realms will reveal each step along the way. You are meant to experience this regardless of where you travel. This is a time when you’re learning that you are a spiritual being having a human experience. Keyword: enthusiasm. 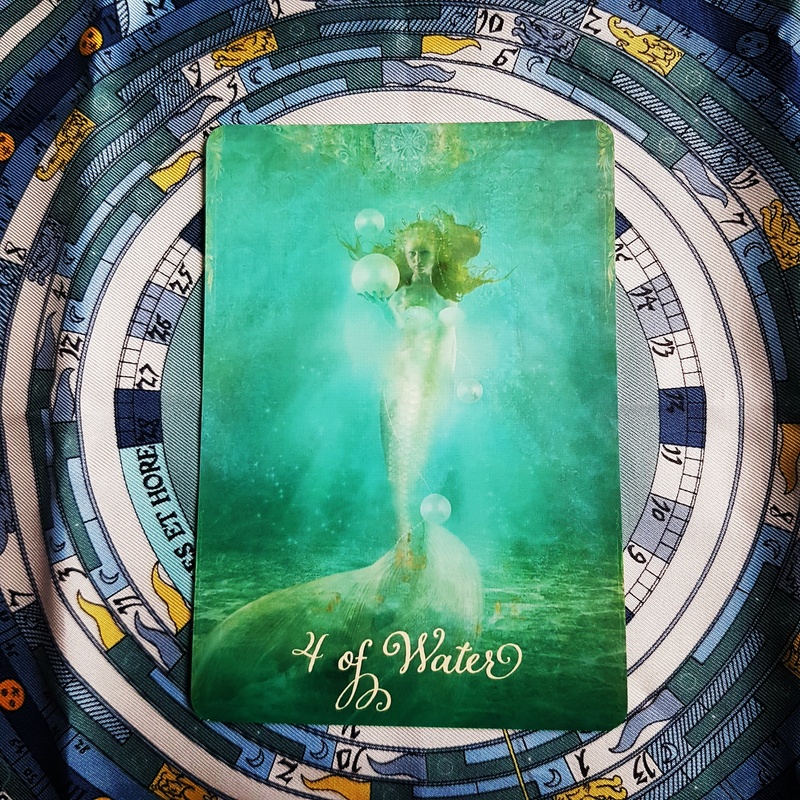 4 of Water – A lull in the action offers a chance for you to dream even bigger than before. Whenever plans turn out not to have come to fruition as expected, you feel secure knowing that even greater things may await me. The universe conspires on your behalf, and disappointment and sadness will wash through you if you simply let them flow. You trust that Spirit has many ways of responding to your desires, and what you seek can take a variety of forms. You have faith in perfect timing and divine order. Keywords: dreaming and introspection, contemplation, trusting in the abundance of opportunities. 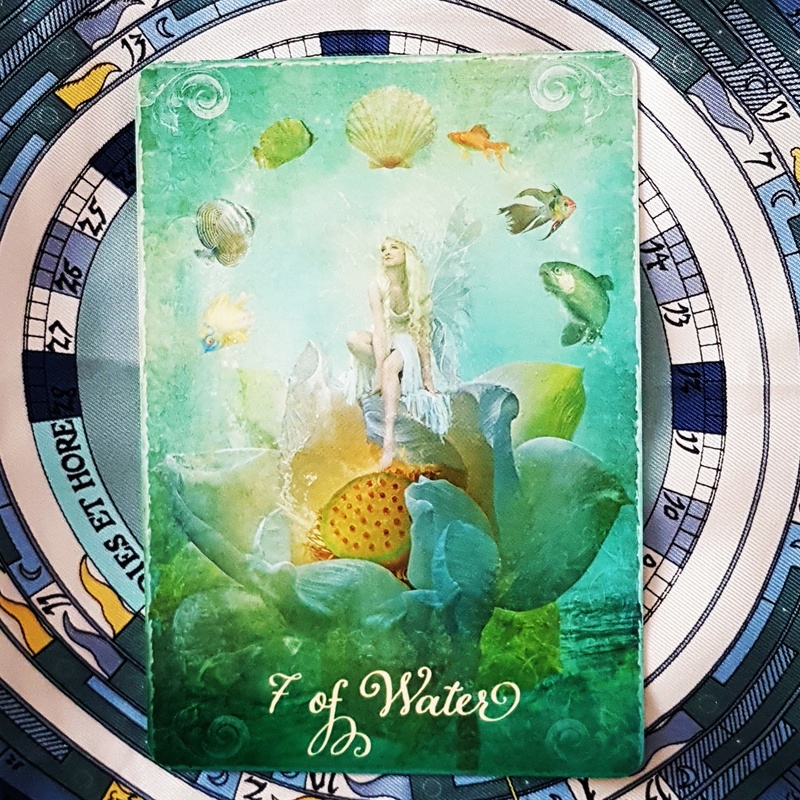 7 of Water – Now is the time to tune in to the infinite possibilities that exist and begin to play with them. Everything begins in the world of imagination and you seize the opportunity to dream. You allow your intuition and desire to blend in an alchemical way, forming something new. Castles in the air can become castles on the ground when you release rigidity, bend the rules and remain flexible and open. Limitations and boundaries give way to manifestation. Spirit never doubts the power of possibility and neither should you! Keywords: imagination, fantasy, artistic endeavours, co-creative abilities unleashed. 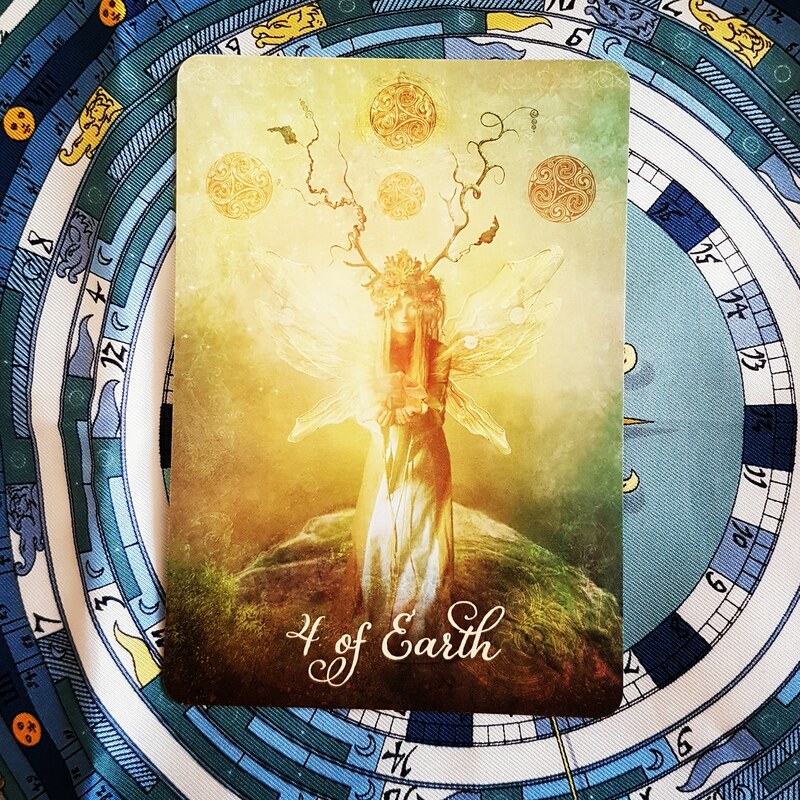 4 of Earth – Even if you feel shaken up and are unable to understand why things happen as they do, you know for certain that divine order manifests in all aspects of your life. What you have built rests on a solid foundation so there is no need for you to fear. While it is true that nothing is permanent in the material world, you find security in the existence of a divine plan. 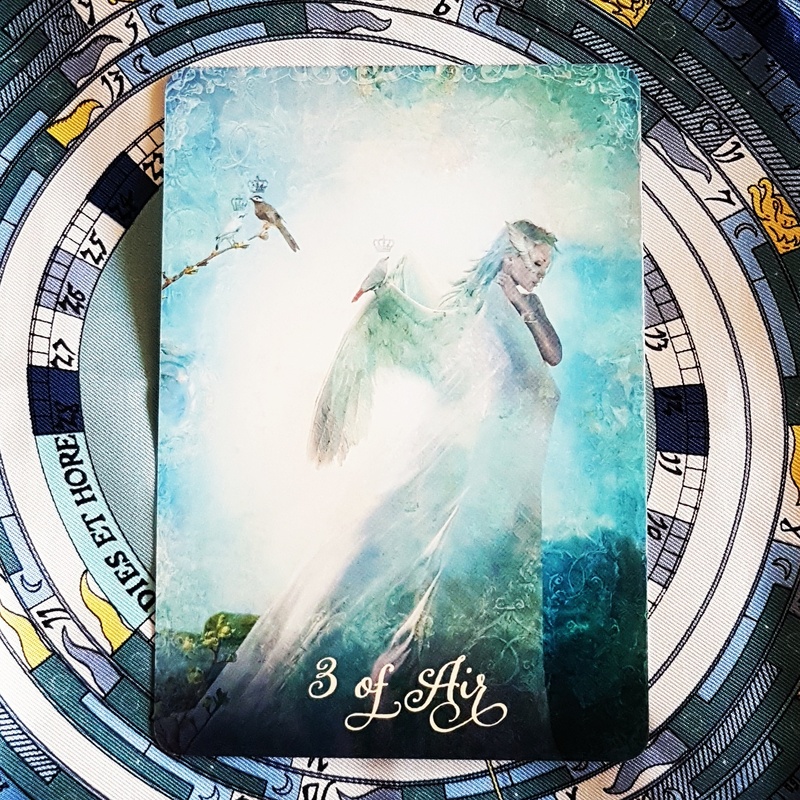 Spirit is always there to remind you that you are exactly where you are meant to be for your highest good and the highest good of all, and that you always have abundance available to you. Keywords: ownership, the beauty of divine order, trusting in a solid foundation. 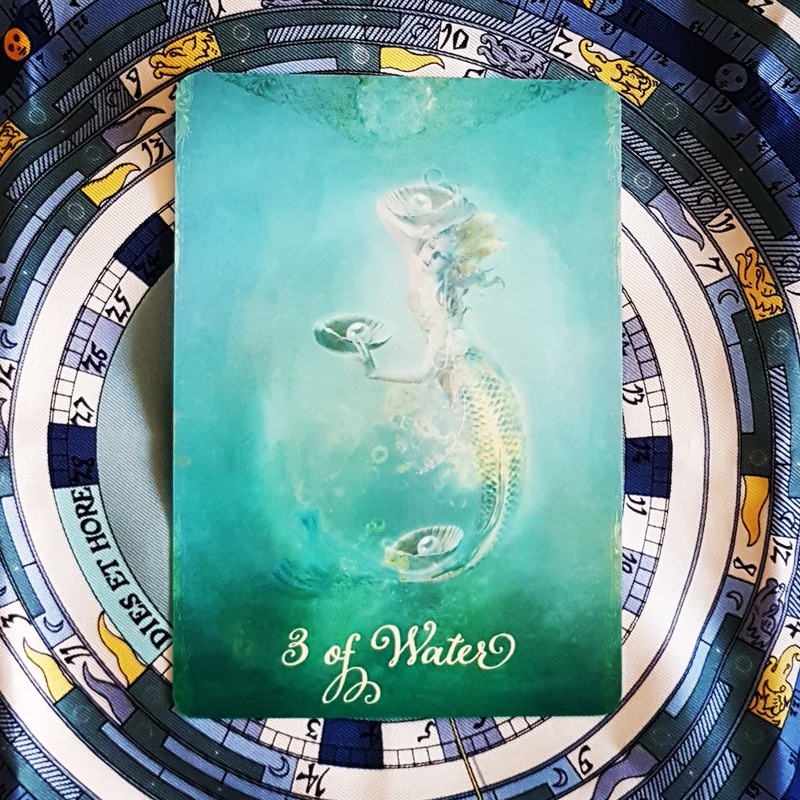 Messenger of Earth (Knights in most other decks) – You are in the flow, committed to co-creating with Spirit effectively and efficiently. You do your best and never leave a job half done. You are dedicated and determined, knowing your efforts will pay off. Keywords: hard-working, proceeding with integrity, perseverance and grit, prudent and careful efforts, thoroughness, industriousness, stamina, dedication. 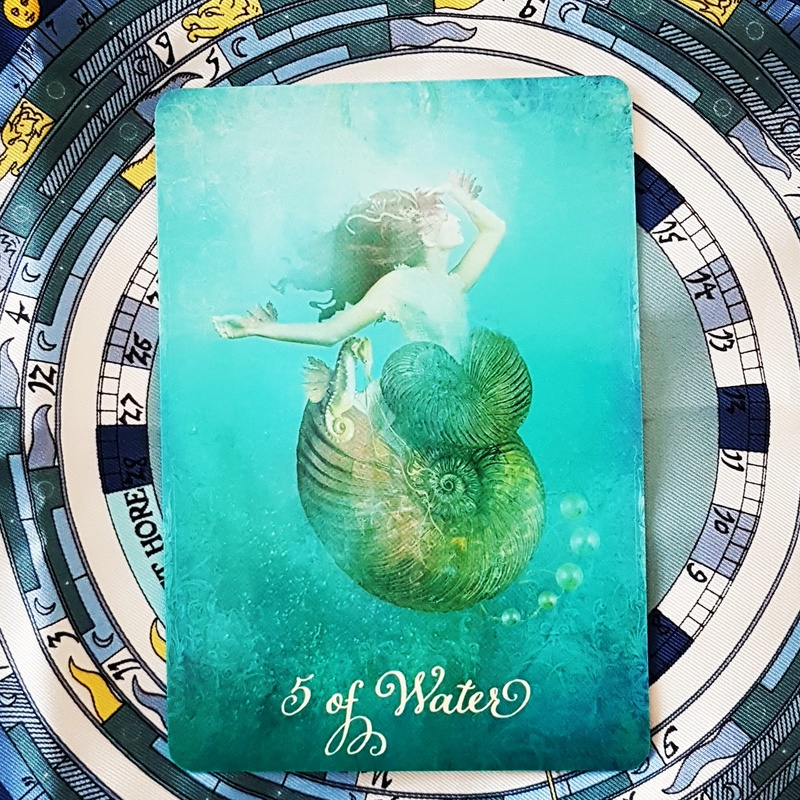 5 of Water – You feel the fullness of your emotions as they wash through you. The ebb and flow are part of life and you are present in your feelings. You fully forgive yourself and others and let go of any emotions that were holding you back from acknowledging the truth. You deserve the freedom that comes when you release what is no longer working for you. You make amends to those you may have harmed when emotion was colouring your perceptions. You surrender any resentments to the divine, knowing they can be transformed into miracles. Fearless inventories lead to liberation. Keywords: releasing grief, allowing sadness to rise and fall, forgiveness, the ebb and flow of emotion. 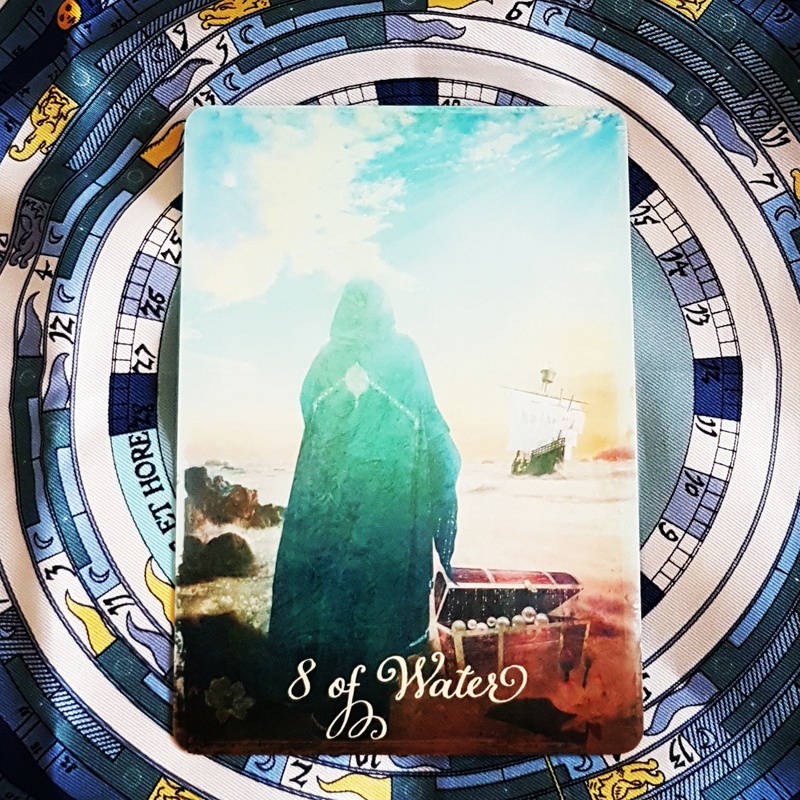 8 of Water – All that glitters isn’t gold, and you know that you always deserve authentic riches, the gold that fills you with joy, abundance and understanding. You fearlessly pause to re-examine where you have been, where you are and where you might go. Now you consciously choose the path that is right for your instead of the one that seems likely to draw you onto it – or the one you feel you ought to walk. You are true to your heart. You’ve come as far as you can, and you leave by the wayside the last vestiges of illusion, the last bits of fear and shame. You will no longer hold on to what isn’t right for you. Keywords: journey of discovery, letting go and seeking a deeper meaning and greater authenticity, beyond superficiality. 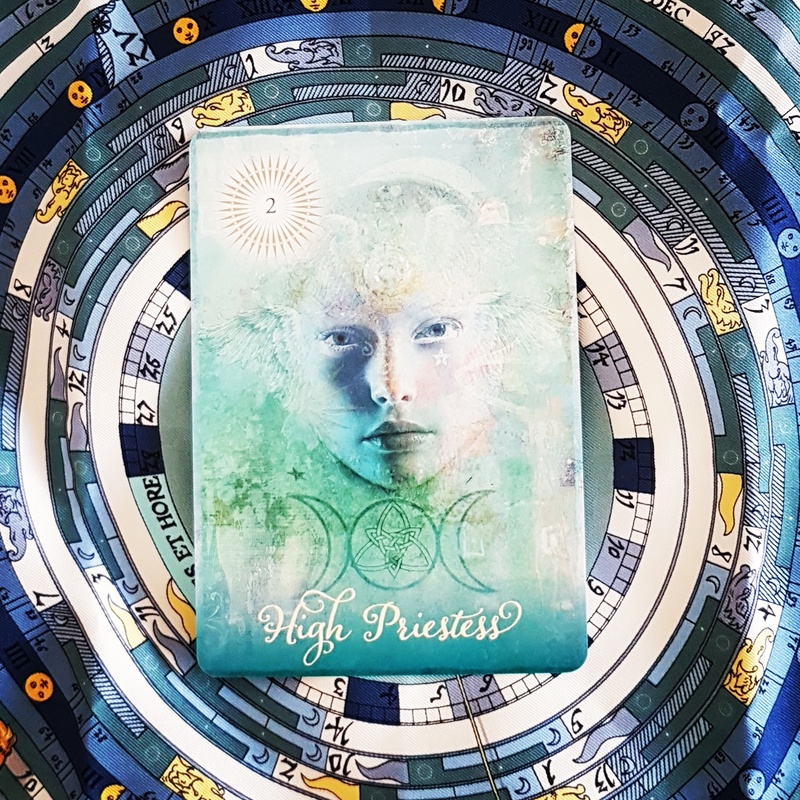 High Priestess – Some things are not meant to be known intellectually but are meant to be experienced through intuition. This card reminds you to trust that you have access to higher wisdom and knowing when you tune in and trust your vibes. This is the time when mysteries will be revealed and you can grow as a result. Keyword: mystery. 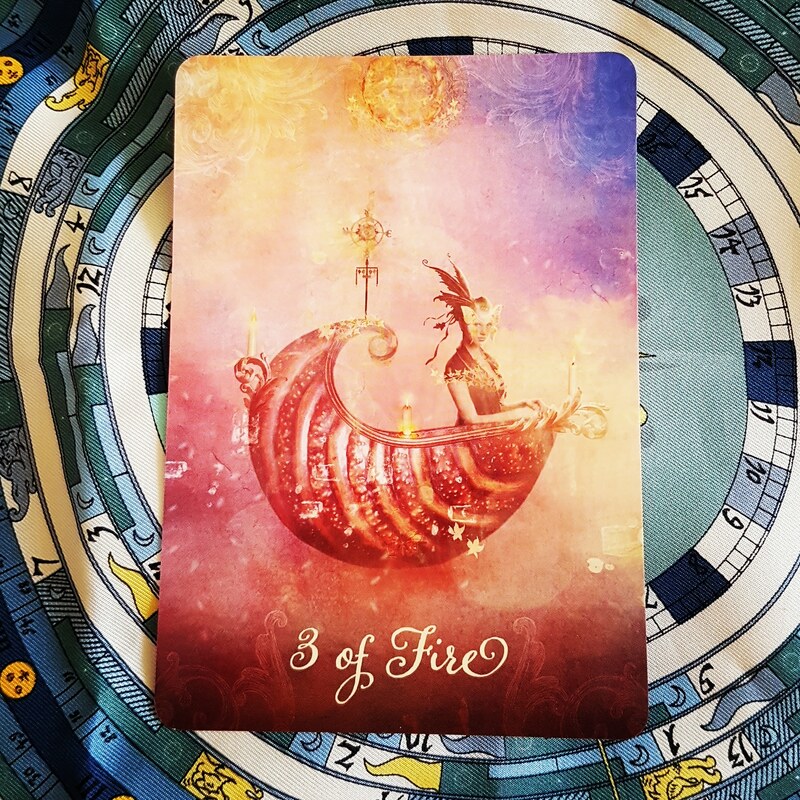 3 of Air – A third party helps you to see the truth of this situation. What is truly yours can never be withheld from me. Rejection is Spirit’s protection. It’s in your best interest to let go and allow for something better to take its place. It is your highest good to see the truth regardless of your temporary discomfort. This too shall pass. Keywords: silver linings, natural departures, ‘Rejection is God’s protection’.